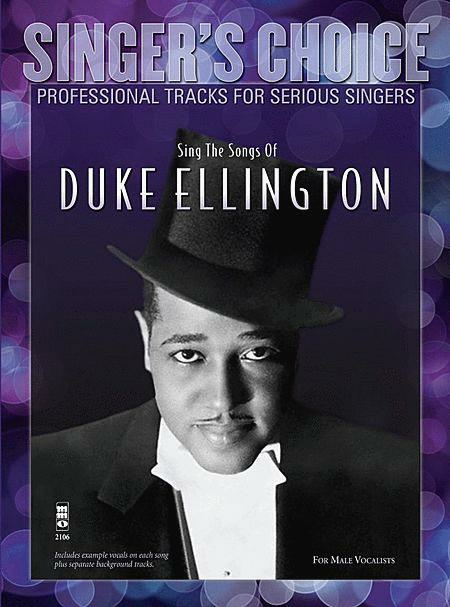 This CD contains 23 tunes by the Great pianist and composer Duke Ellington. 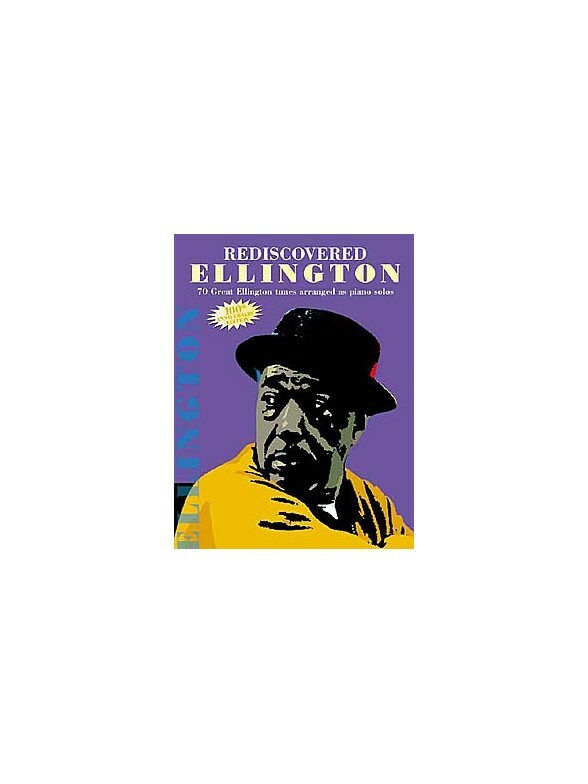 This is a must for his fans and admirers of his Jazzy style as, unusually for Ellington, this set was composed for a British stage production and there are many mood creating fragments. 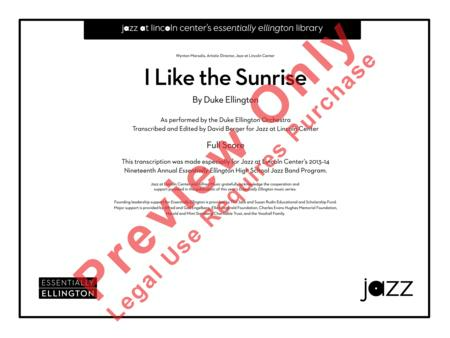 The music frequently features the driving work of Emmanuel Abdul-Rahim on congas and Bobby Durham on Drums. The band plays excellently and highlights are the unique quality of Harry Carney?s Baritone Saxophone on Chromatic Love Affair and Cat Anderson?s high Trumpet notes on Salome. 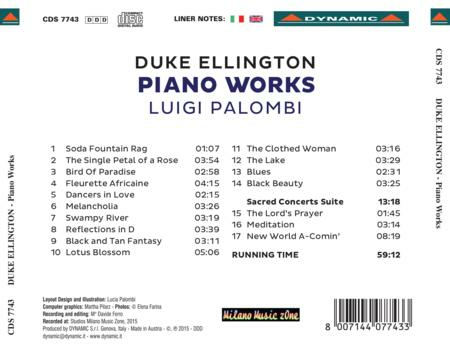 This recording includes recordings from Duke Ellington And His Orchestra at The Hurricane Club and Carnegie Hall in New York in 1943, in New York in 1962, at the Hollywood Empire in Los Angeles in 1949 and solo Duke Ellington piano recordings from France in 1966. 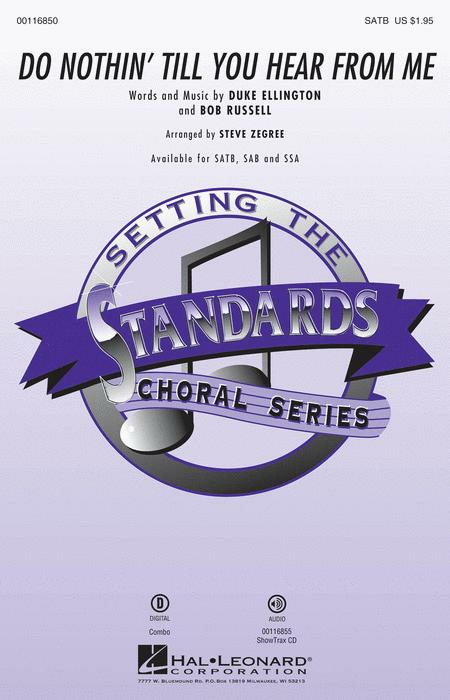 Many classic standards are featured including Take The A Train, Satin Doll, Rockin' In Rhythm and Cotton Tail. 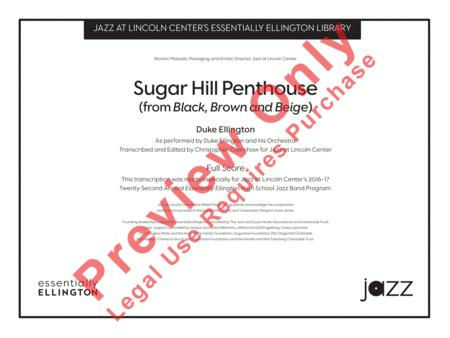 Duke's musicians include Ben Webster and Jerry Hodges. 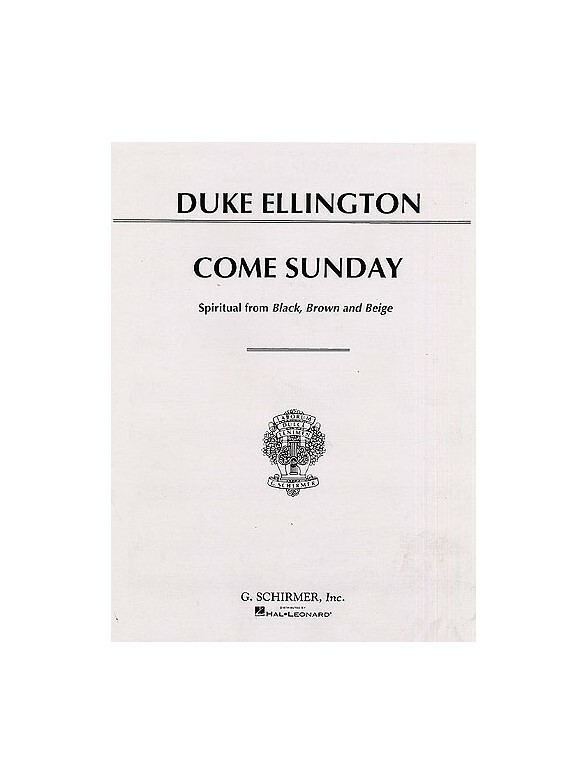 Spiritual from 'Black, Brown and Beige'. 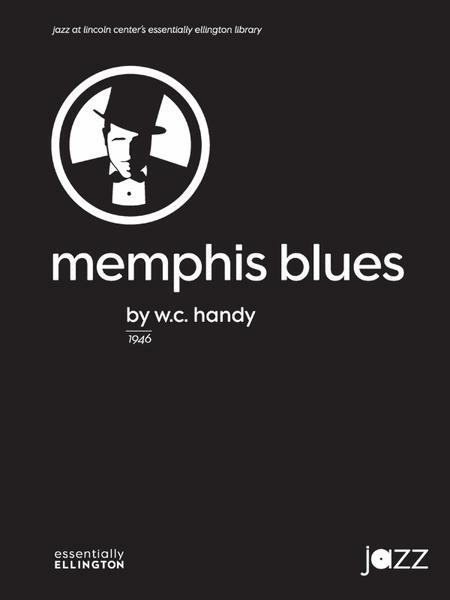 Adapted by Lawrence Rosen. 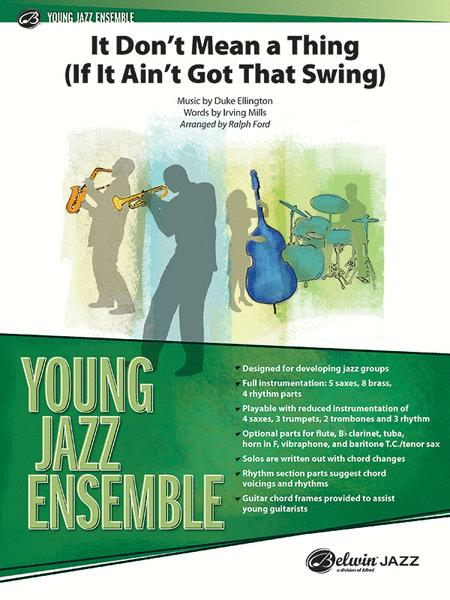 Put the swing into your concert programme with this traditional jazz standard It Don't Mean A Thing (If It Ain't Got That Swing), arranged for Upper Voices (SSA) with Piano accompaniment by Mac Huff. 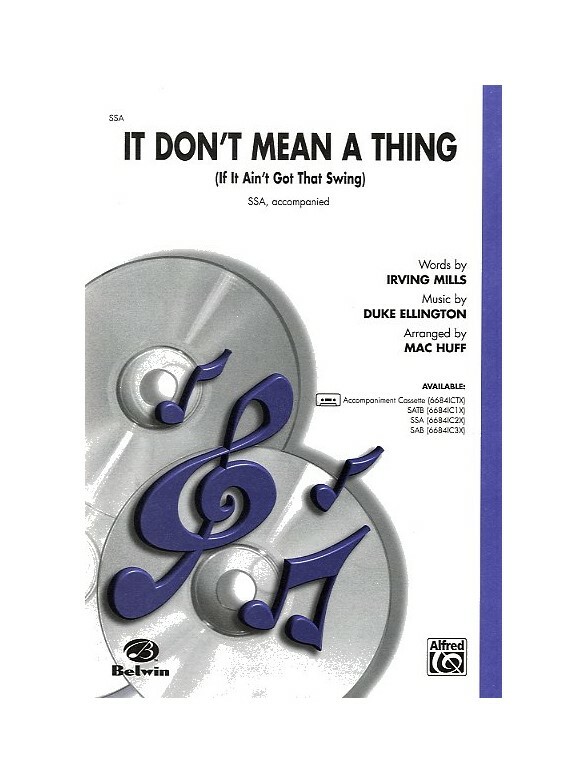 In the winter of 1932, Duke Ellington; consumate jazz pianist, composer and orchestrator; released It Don't Mean A Thing (If it ain't Got That Swing) which included live vocals by Ivie Anderson. 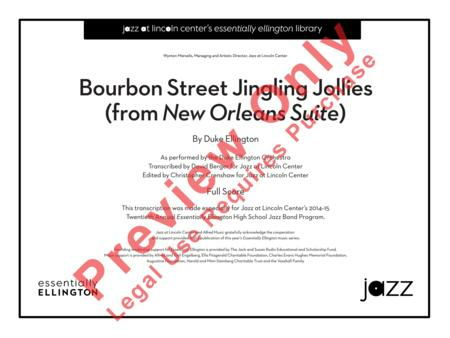 A significant work that marked a shift in the fashionable style, from the Hot Jazz of the 1920s to the Swing music of the 1930s. 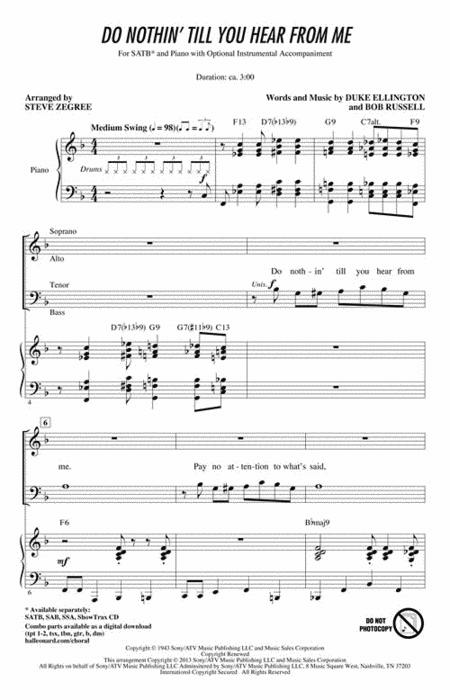 The song went on to define the era and became one of his biggest and most successful hits. 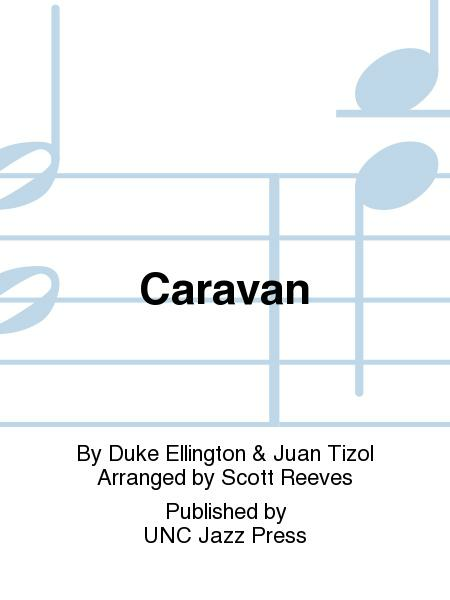 This popular tune is supplied here with vocal arrangements for unaccompanied SAB choir. 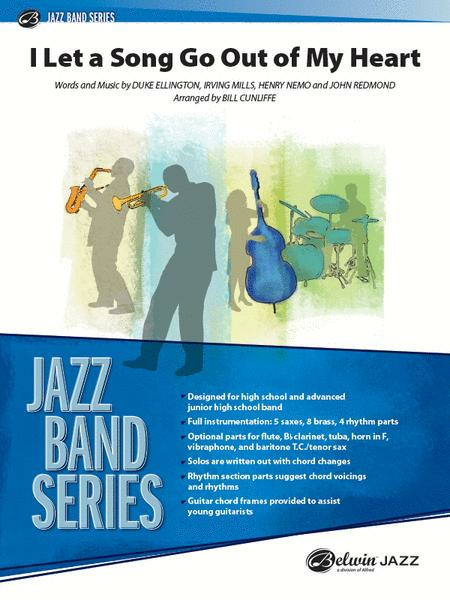 The Jazz Play-Along Series is the ultimate learning tool for all jazz musicians. 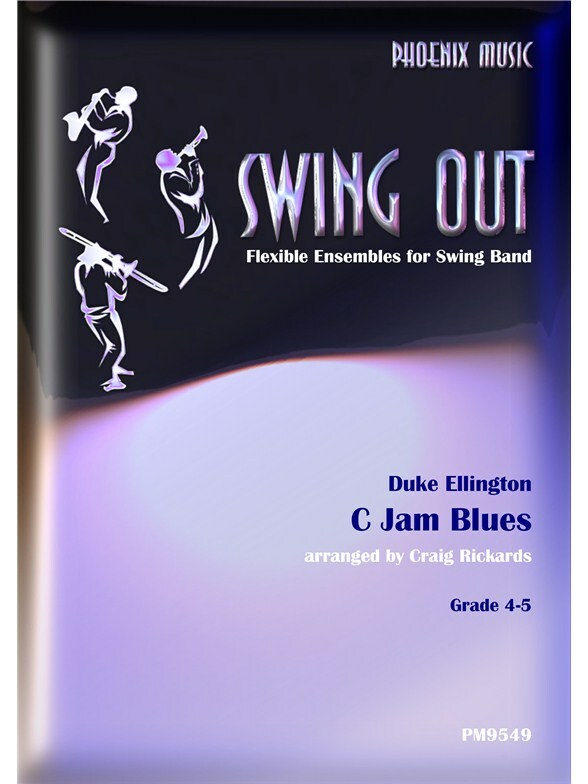 With musician friendly lead sheets, melody cues and other split track choices on the included CD, this first of its kind package makes learning to play jazz easier than before. 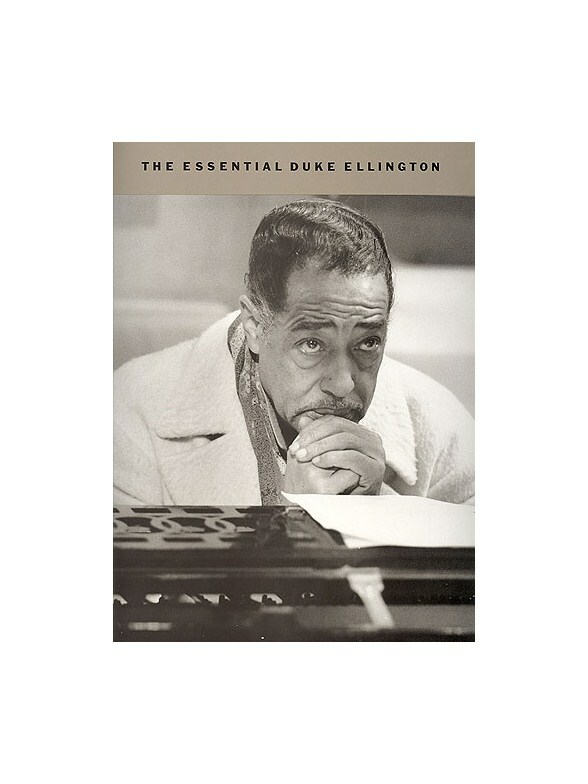 Volume 1 in the series focuses on ten classics by one of the most respected and influential musicians of the last century, Duke Ellington. 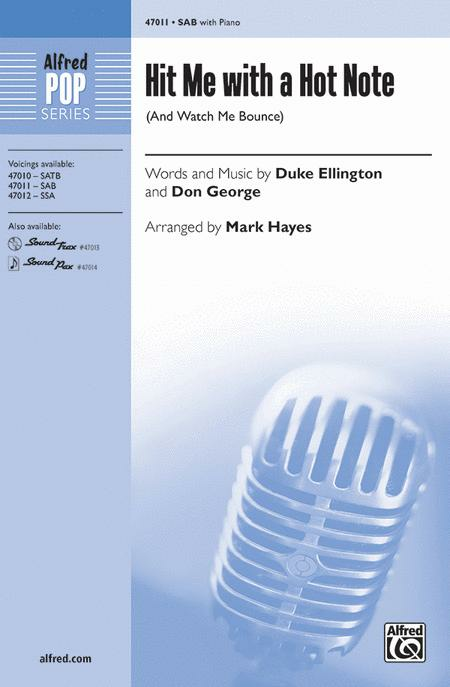 Novello Voices Choral Suite, Arranged by Hywel Davies. Contains: 'Take The 'A' Train, 'Satin Doll', 'Lush Life', 'Things Ain't What They Used To Be' and 'Perdido'. Fabulous SATB arrangements of popular modern songs from West End shows and the worlds of jazz and pop. 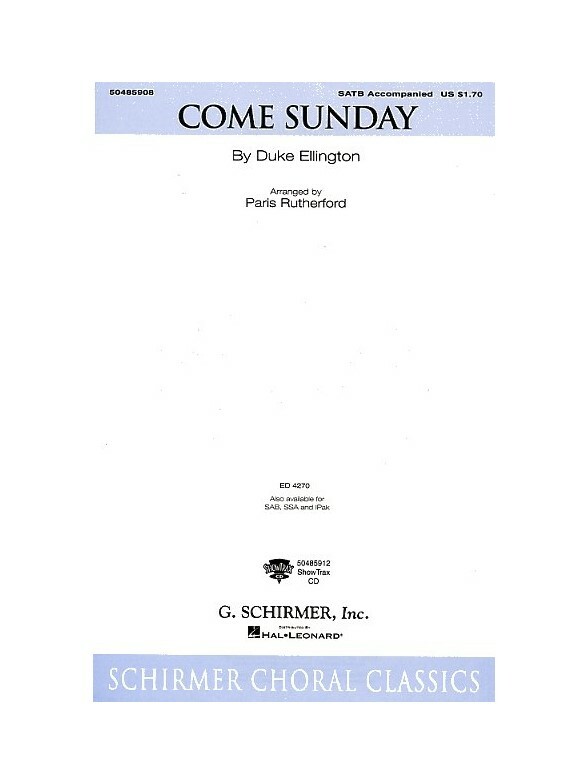 A true gem of substance and depth from the songbook of the great Duke Ellington, arranged as a warm and soulful Jazz ballad for SATB chorus and Piano by Paris Rutherford. 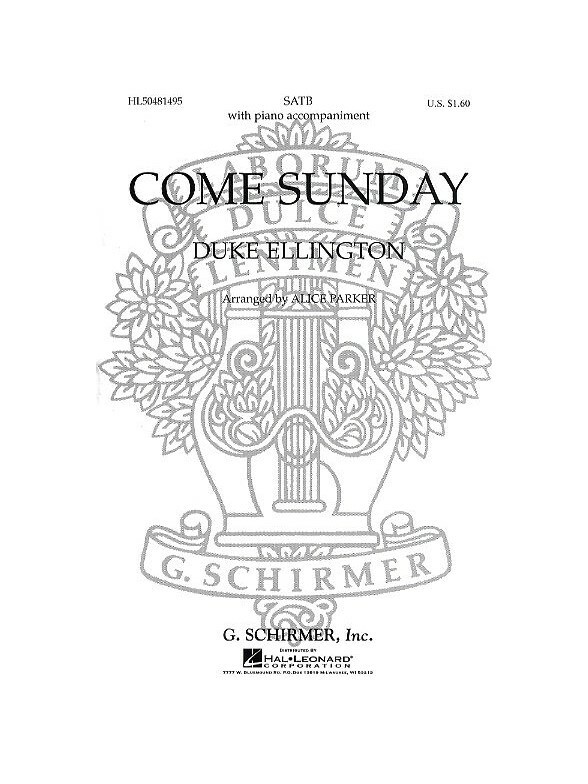 Written with piano accompaniment and optional orchestra, this arrangement features a solo first supported by strings, and later by the full choir. 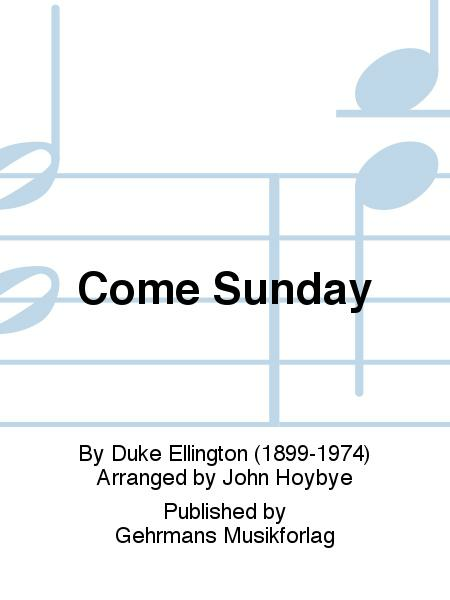 The song calls for a gospel styling, with a jazz overtone. 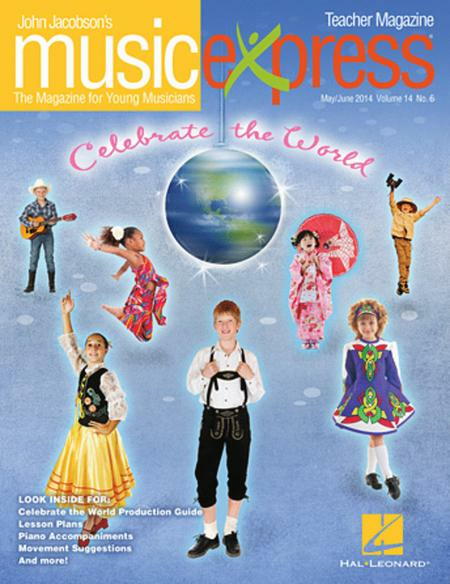 World class jazz guitarist Martin Taylor?s playing has been greatly influenced by the master Jazz pianist. 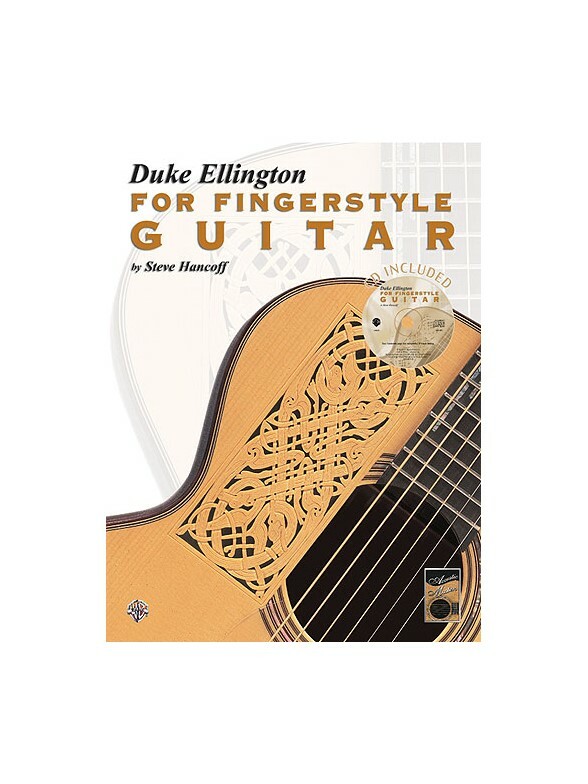 In this challenging DVD lesson, Martin applies his fingerstyle jazz genius to the music of the great American composer Duke Ellington. 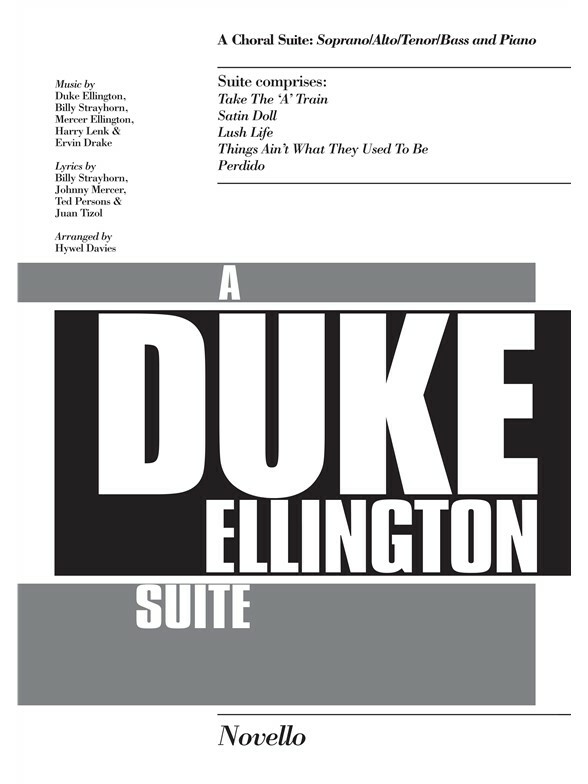 Five of Ellington?s magnificent compositions are presented in this in-depth, 52 minute lesson. 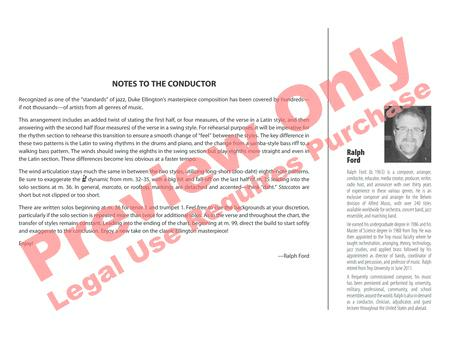 Be warned, these are complex arrangements for the advanced guitarist. Nine all-time classics! 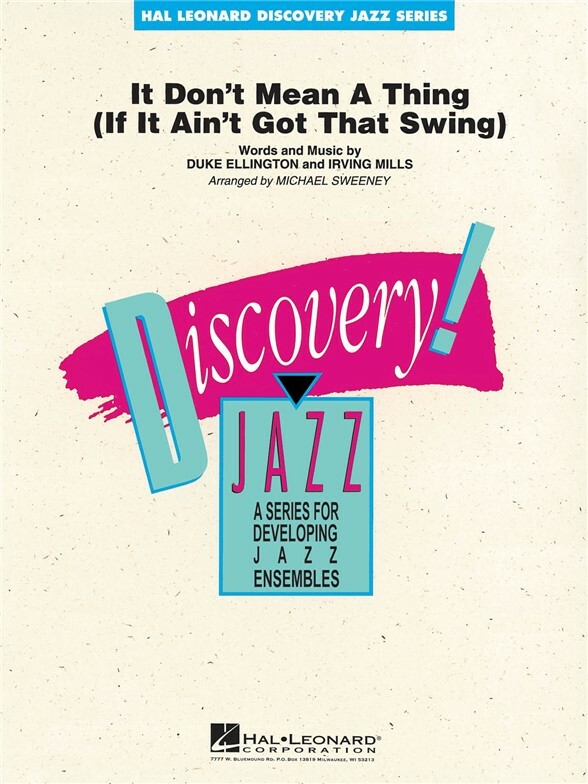 This set includes some of the most famous jazz standards in the world from ballads to swing. Every jobbing musician should know these tunes. The ballads are rich and lush while the swing tunes are crisp and light. 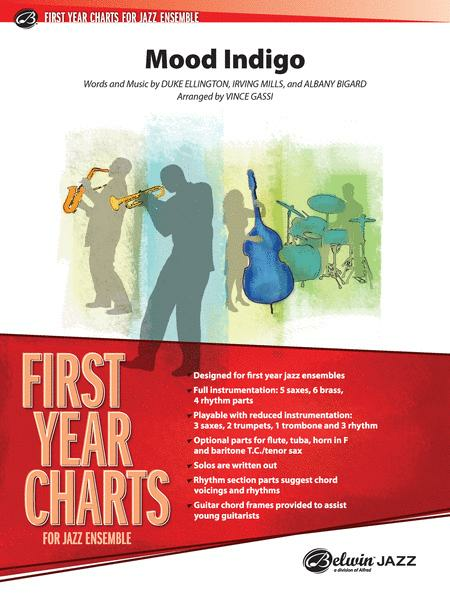 Each tune ?feels? great! 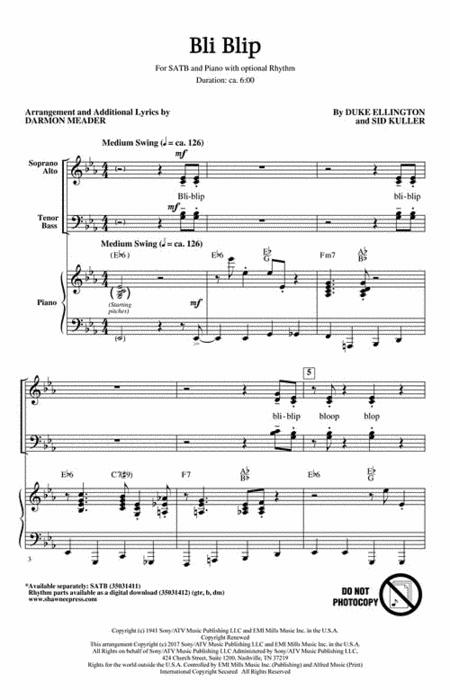 An inspiring way to practice. 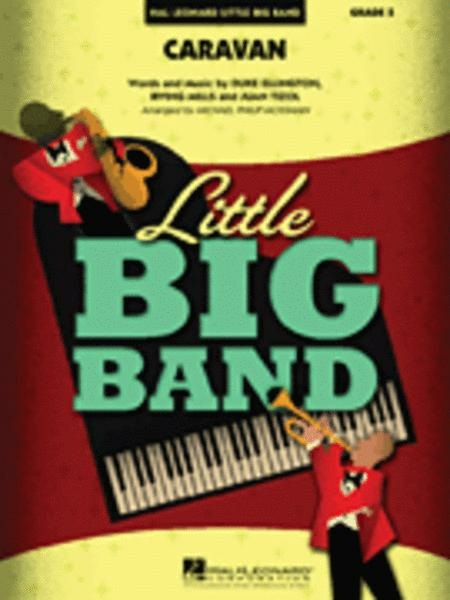 Makes a great gift for any musician who wants to learn standards, or who plays just for the fun of it! 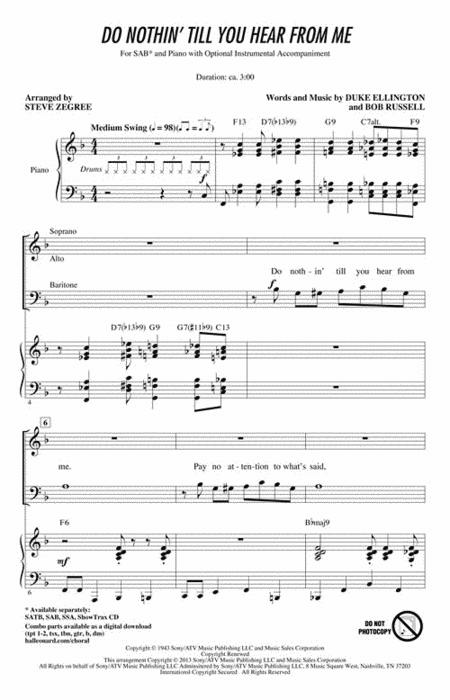 Everyone should learn these songs. 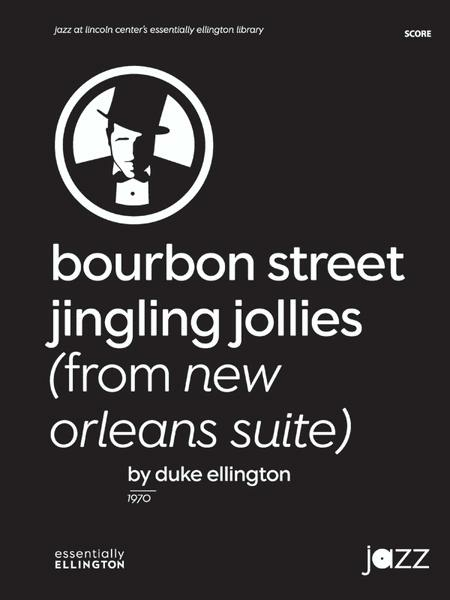 Duke Ellington has probably single-handedly influenced more music and musicians than any other jazz musician. 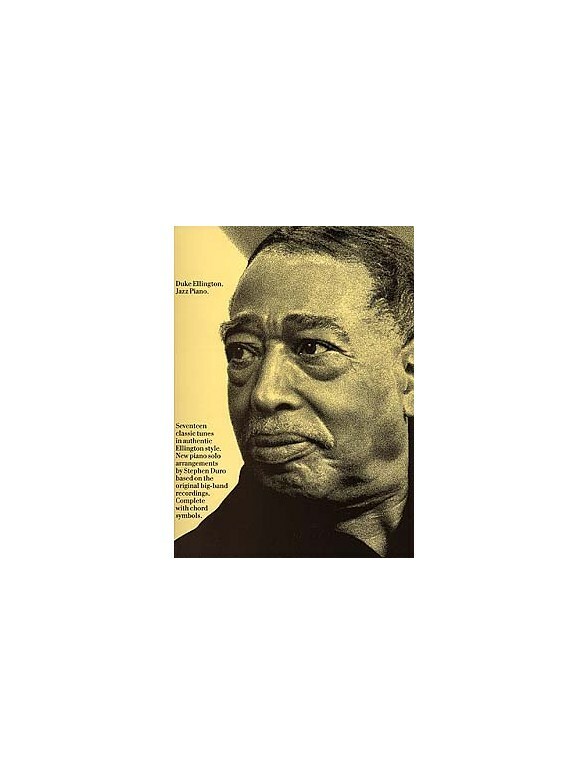 100th Anniversary Edition that celebrates this jazz legend with 70 tunes arranged as piano solos. 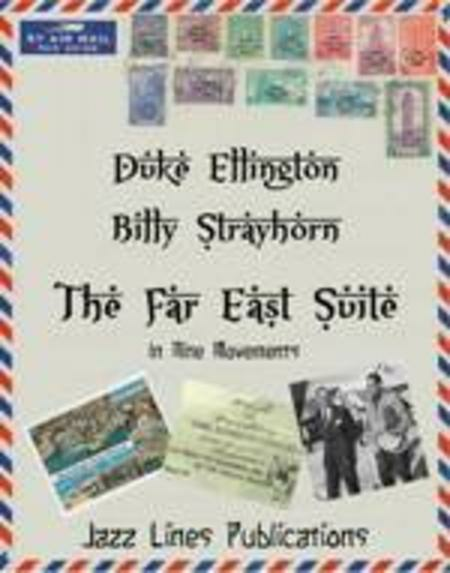 Easy to play arrangements of classic Ellington numbers. 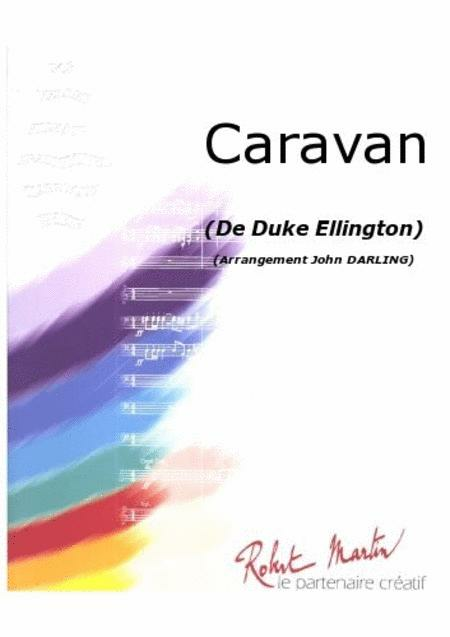 Includes 'Solitude', 'Mood Indigo', 'Sophisticated Lady' and 'Caravan'. With lyrics and chord symbols. 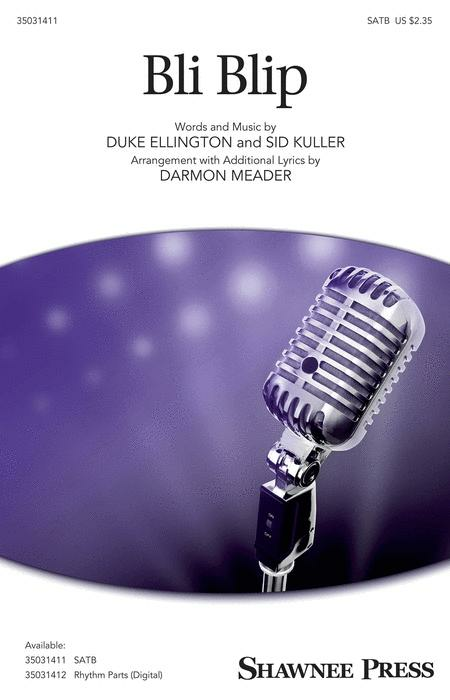 The best tunes and melodies associated with Duke Ellington, arranged for piano by Kenneth Baker. 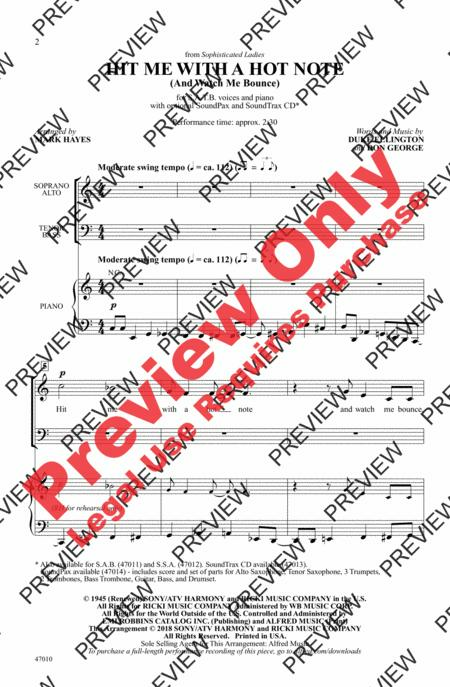 Lyrics (where appropriate) and chord symbols are included. 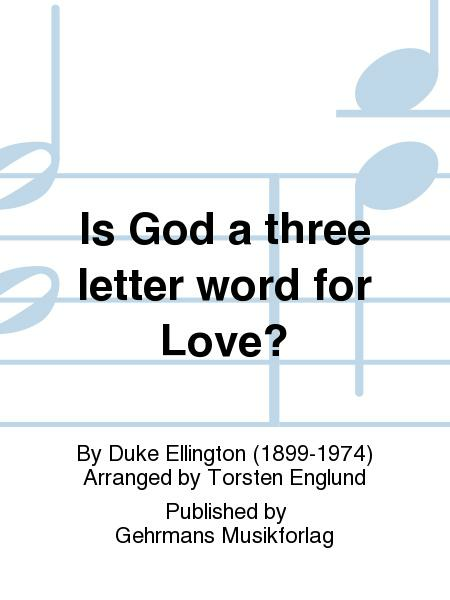 Piano arrangements by Frank Booth of Ellington classics including 'In a Sentimental Mood', 'Prelude To A Kiss' and 'It Don't Mean A Thing (If It Ain't Got That Swing)'. 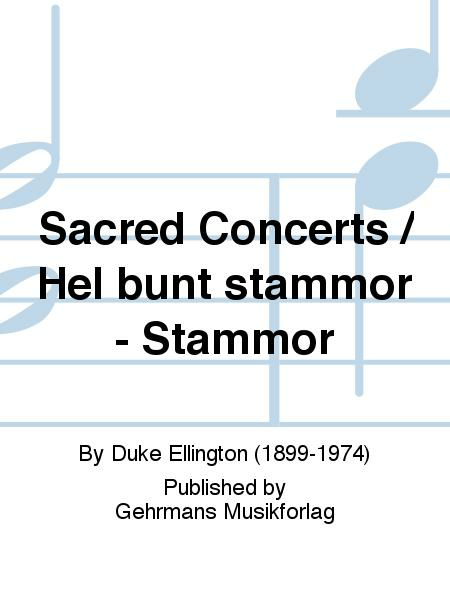 This 2 CD set contains recordings of 26 songs played by the legendary Jazz musician Duke Ellington at his concert in Gr?na Lund, Stockholm, in 1963. 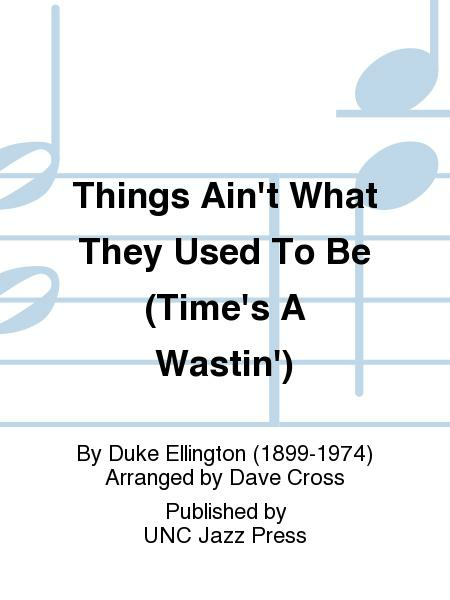 In April 1945, to promote the sale of war bonds, the Treasury Department contracted Duke Ellington to do a series of 55 minute public broadcasts. Storyville's Fargo box set has been out of stock for a while, but they are now ready with a re-release of this fine double CD now packed as a digipak. 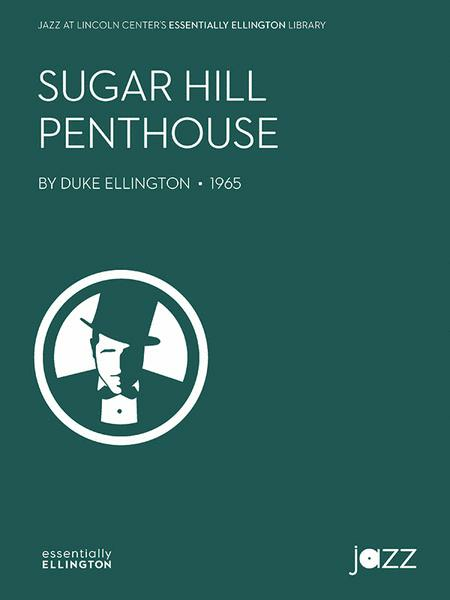 Did Duke Ellington make the Cotton Club famous or was it the other way around? The answer may lie somewhere in between, but few will dispute the fact that both club and bandleader became synonymous with Harlem, an area above Manhattan's 110th Street where culture thrived and the music was hot.Impressed by the lights and energy of Harlem, Duke likened it to 'Arabian nights' when he first arrived there from Washington, D.C. in 1922. 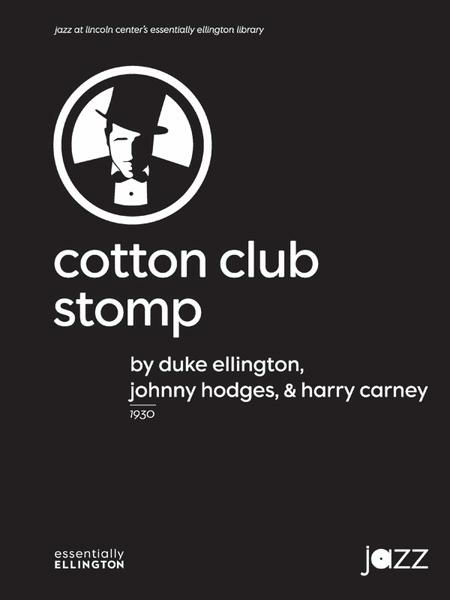 That was also the year in which the Cotton Club opened for business at 644 Lenox Avenue, but although theirs was a marriage made in heaven, the two symbols of the Harlem Renaissance Era did not unite until 1927.The Ellington orchestra's first run at the Cotton Club lasted into 1932, by which time Duke's fame had spread far beyond Harlem and across the oceans. 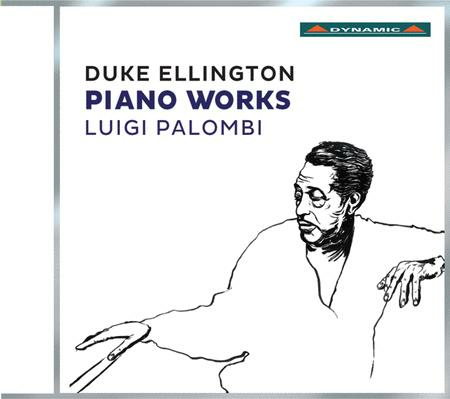 He rose to become one of America's most distinguished and influential composers and the club became legendary.These two CDs capture the atmosphere and enduring musical sophistication of nine Cotton Club radio transmissions and include an April 29, 1938 broadcast of the band's appearance at Stockholm's Konserthuset. 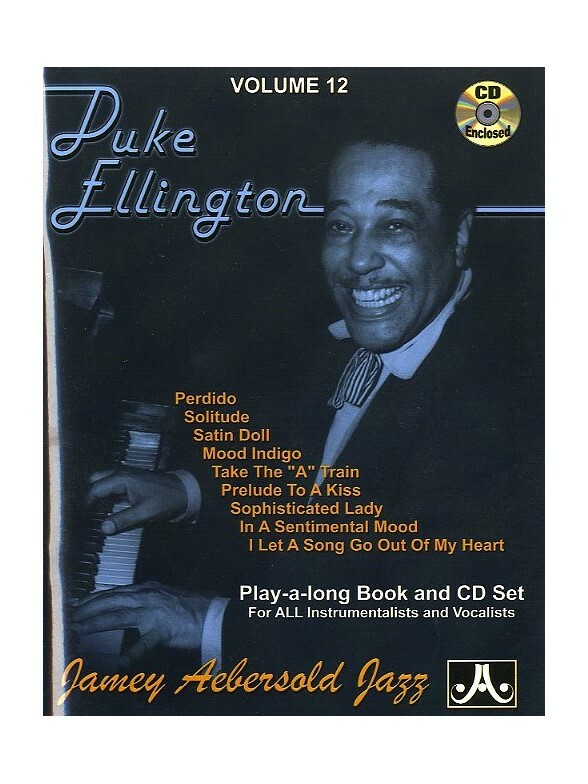 The latter was also a celebration of Duke's birthday, of which there were many more to come.The second CD has a brief but engaging 1933 newsreel clip that shows Harlem's Lenox Avenue and looks into the club for a glimpse of Ellington, the orchestra, and some of the famous Cotton Club dancing beauties. Nostalgia? Yes, but so much more. 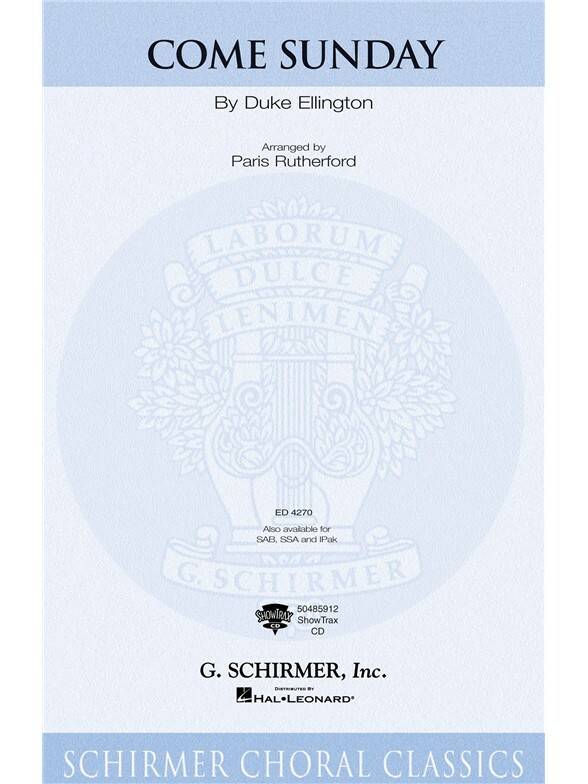 Anoter moving gem from Duke Ellington, this ballad has been arranged by Paris Rutherford for SSA choir with Piano accompaniment. 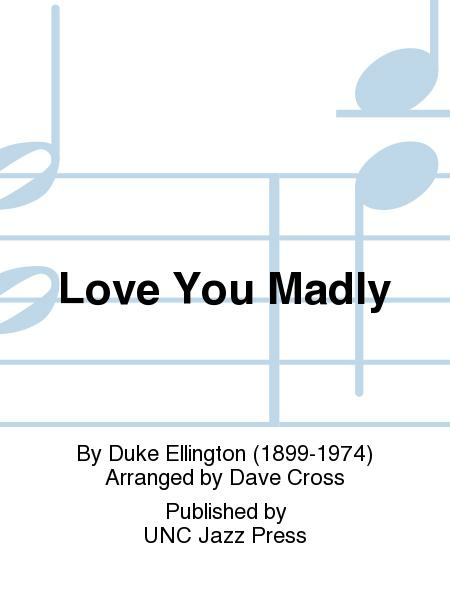 A bluesy, moving, swinging arrangement of Duke Ellington's thoughtful ballad. 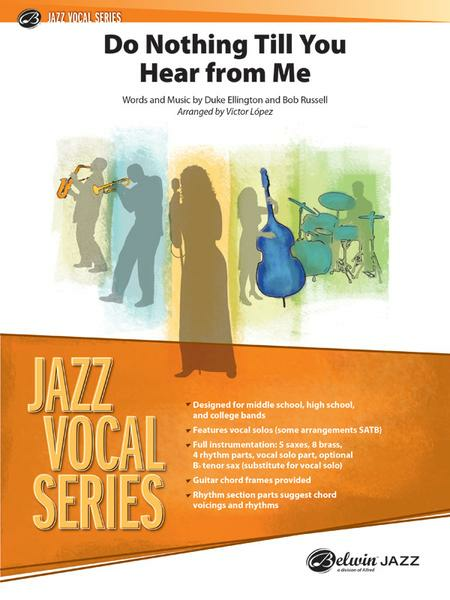 Set here by Paris Rutherford for SAB choir and Piano accompaniment to make a Gopsel Jazz gem! 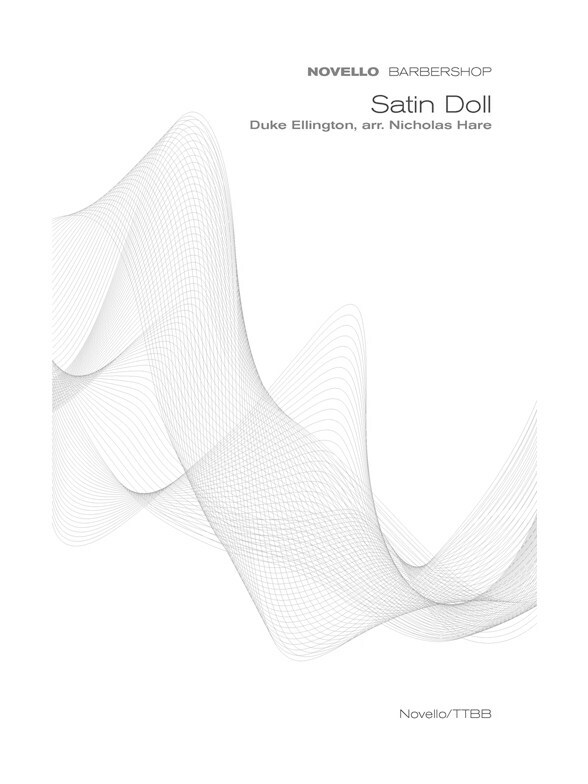 Satin Doll is a famous Jazz standard written by Johnny Mercer, Duke Ellington, and Billy Strayhorn. 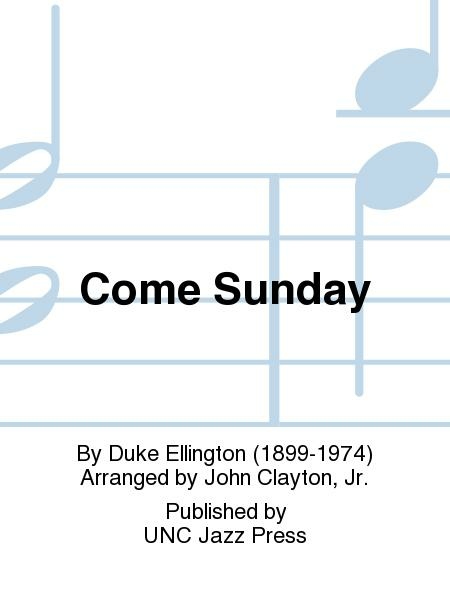 Written in 1953, the song has been recorded countless times, by such famous singers as Ella Fitzgerald, Frank Sinatra, and Nancy Wilson. 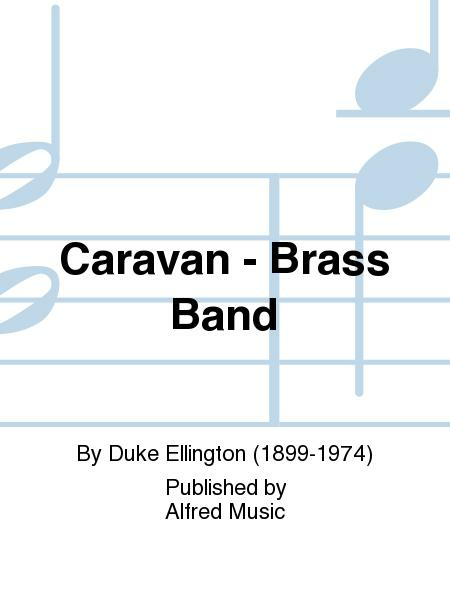 This standard is as popular as ever with student bands, with the classic Ellington four bar Piano introduction and Saxophones then taking the lead. 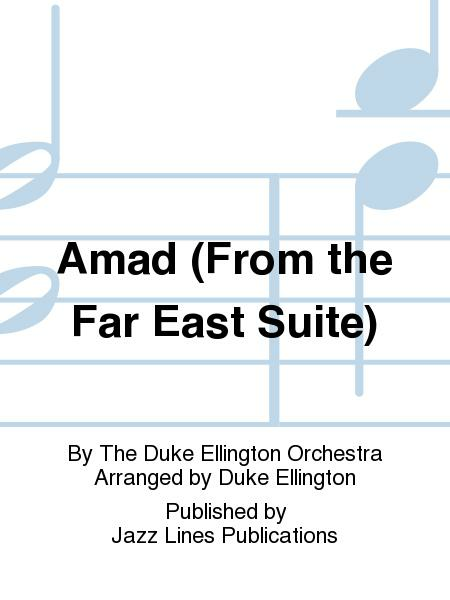 Written out solos for Piano and Trombone (cued on first Tenor) and a dynamic full band ending. 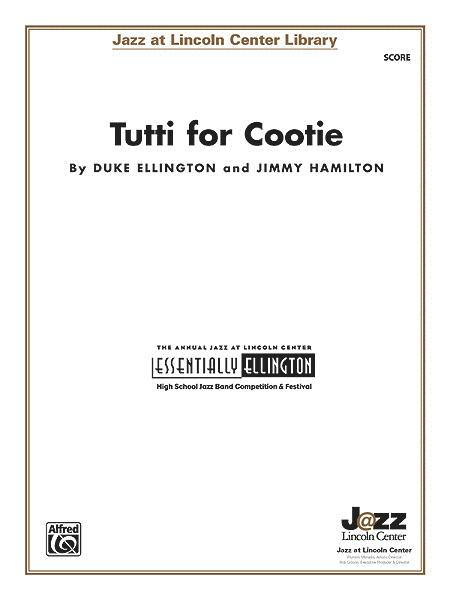 Top note low E for lead Trumpet. 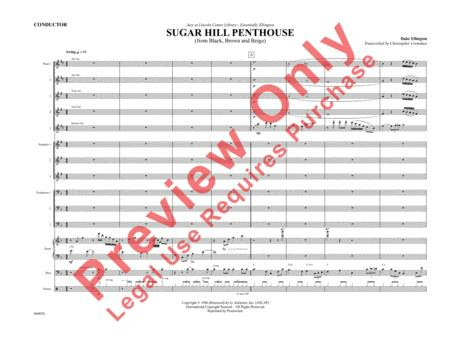 With optional Flute part. 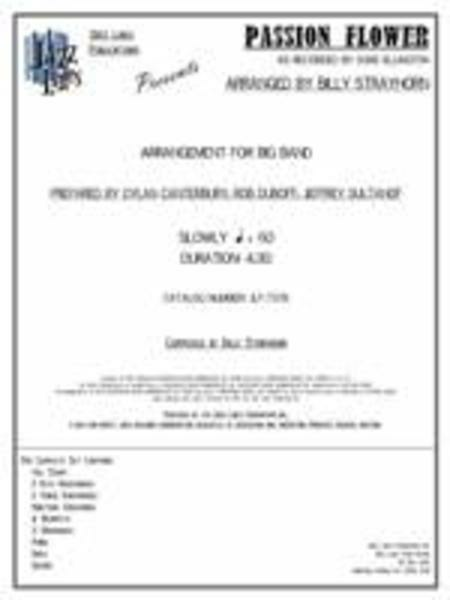 Transcribed from the album Buddy Rich At Ronnie Scotts. 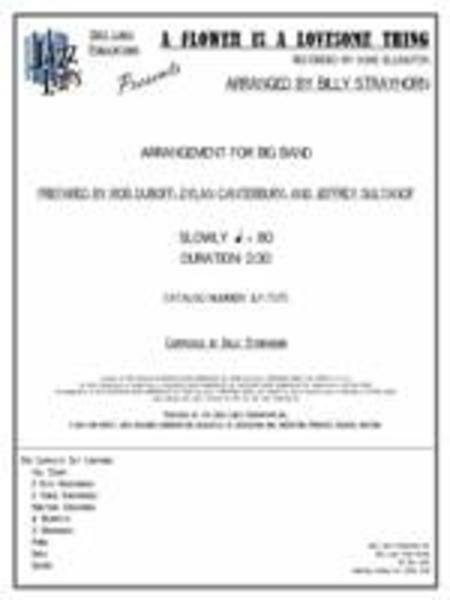 Whilst this Ellington standard is always a great vehicle for solos, this Straight Ahead arrangement also includes driving Saxophone and Brass feature sections and a powerful last chorus with Drum breaks. Top note high B for lead Trumpet. 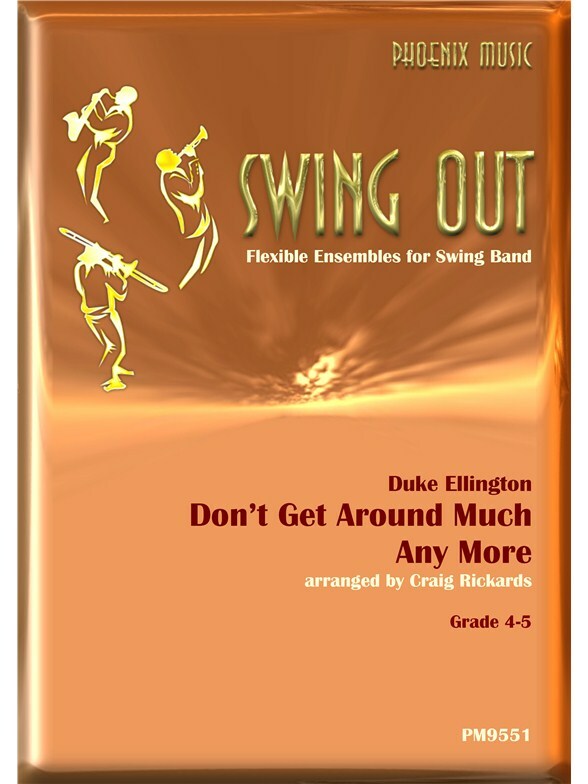 Duke Ellington's classic swing tune, arranged for Big Band Vocal in a moderate swing. As recorded by Robbie Williams on his hit album, Swing When You're Winning. In G.